GMI Suits, the number one value church suit resource, is the category leader for church suits selling below $100. 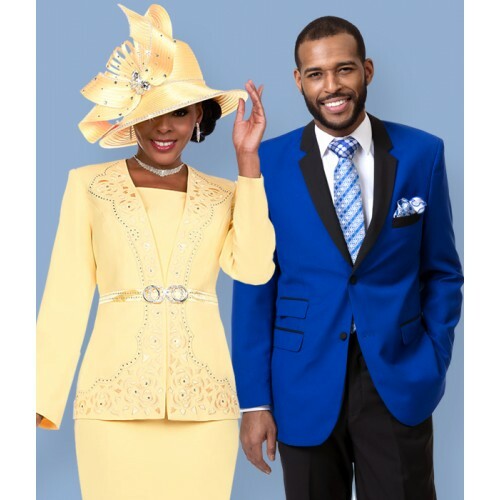 Importantly, every GMI suit is perfectly complemented with a matching church hat for any special occasion. 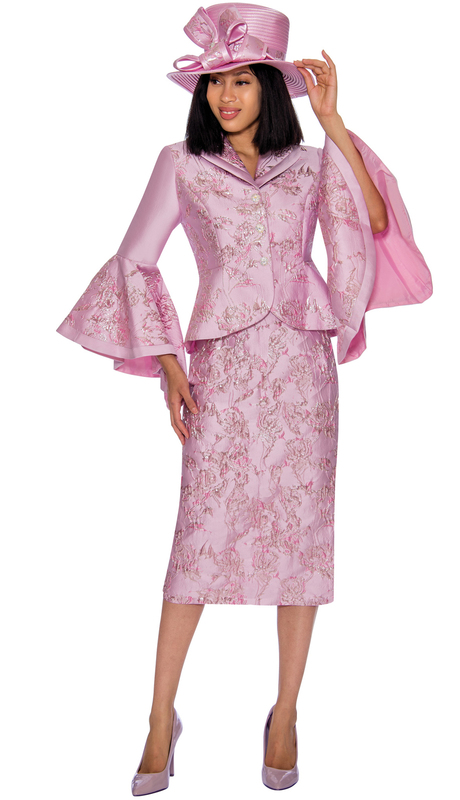 Fit-and-flare three piece suit with modern openwork accents at sleeves and skirt. 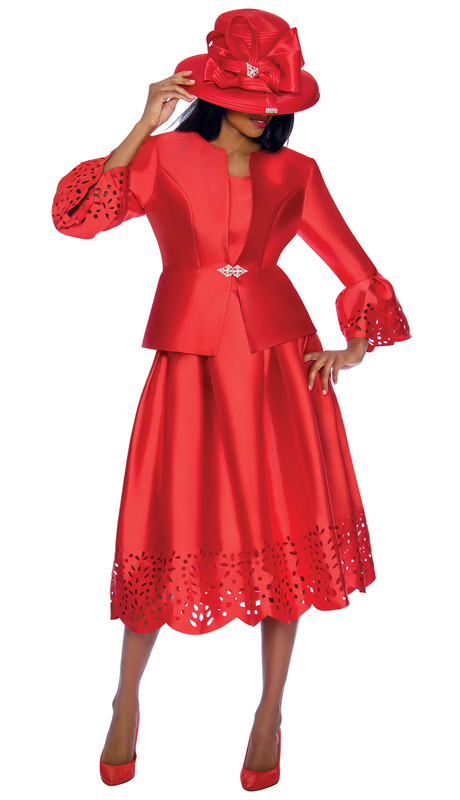 Laser-cut two piece suit with sparkling jeweled front buttons. 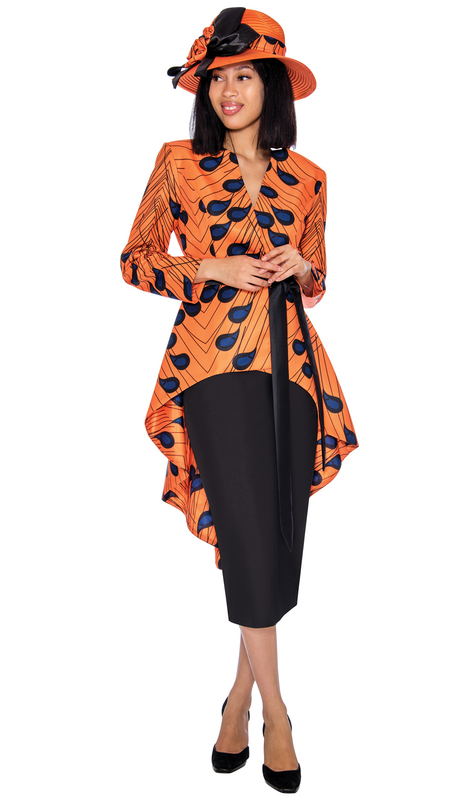 Bell sleeves have diamond, openwork accents.